My new book will be launched this week. It is available for 99 cents for a limited time on Amazon, so make sure you get one as long as it’s fresh. This sentence is something you might hear again and again from people who make their living building websites. Do not waste your hard-earned money on such offers! Do you repeatedly hear horror stories from competitors who spent thousands of dollars on a website and need to dish out another hundred for every small change? Don’t listen to these so-called Internet specialists. Starting with just ten dollars per month for good web hosting, you can create your very own website all by yourself. All the necessary tools—like the WordPress software described in this book—are available for free. All you need are a computer and access to the Internet. Hosting? Websites? Is it all Greek to you? Don’t worry! This book for beginners meets you where you’re, at your current level of knowledge, and leads you toward being an Internet professional. This is not a small step. It is a crucial step because once you start to acquire some hands-on experience, you will succeed with your website very fast. Read how you can set up and design your website with just a little time and personal engagement, and without spending an arm and a leg for software and service providers. Creating a page is no harder than writing an email, and you will see how it works in this book. 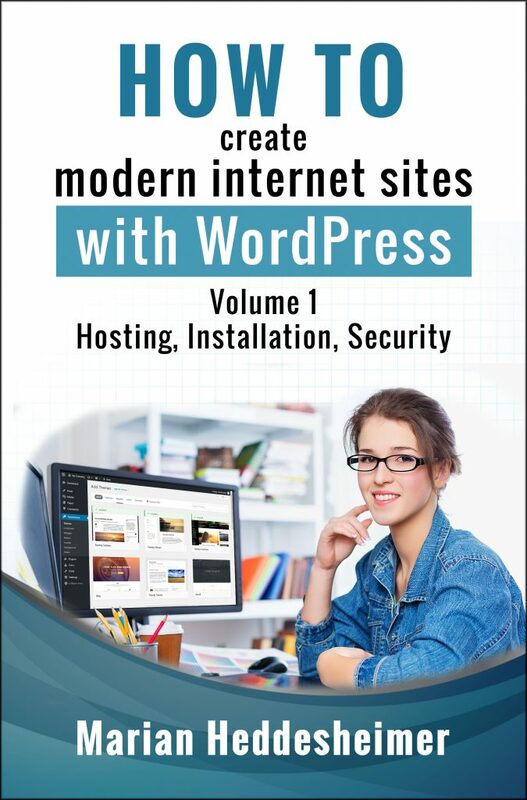 This is the first book in a series that will show you how to build the optimal Internet presence for your business. For each industry and profession, you can get specialized modules (plugins) and pre-designed layouts (themes), which can either be purchased for very little money or downloaded for free. Where to find these themes and plugins, will be explained in detail later in this book series. This first volume of “WordPress Step-by-Step” teaches you the first steps that you need to take to transform yourself from beginner to webmaster.